Today will be a simple update post. I don't have epic strategies to share or any mind-blowing stats to review. However, I hope you will still find value in seeing what I'm involved with in my business and my plans to grow. Last week I wrote about overcoming shiny object syndrome, and this post will just once again prove why I said I'm not the perfect example! However, I have focused enough to complete lots of projects and I do work full-time from home with a few employees (all virtual)…so if any of that is appealing to you, I do have a few things to share. Today, I just want to give a quick rundown of all the current projects that I'm working on and give a quick update. I would also love some feedback from you, so look for my questions. In particular, I'd like to know which project you are interested in hearing MORE about. My online “career” began with building small niche sites, so I feel like it's appropriate that I cover these first. 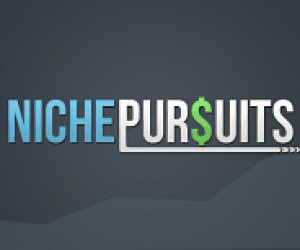 I still have lots of niche sites, but most of them are completely on auto-pilot. I simply check earnings and monitor traffic. I do have one or two that get new content every once in a while. However, for the most part, I'm no longer focused on this part of my business. I'm focused on building out larger web properties, rather than “set it and forget it” sites. These “authority” sites get more of my attention and are discussed below. This authority project has it's own page and list of blog posts. Perrin and I started this site towards the end of last year, and are actively working on growing the site. We've now launched 4 books on Kindle, with varying degrees of success. Our first book was an absolute home run. I shared how to self publish a book on Amazon here. You can see the earnings report from this first book right here. However, we then hired an author to do books 2 and 3 for us, and they didn't perform as well. You can see the dip in earnings in the last income report right here. We just launched book 4, and it's doing a little bit better…but we have a few more promotion ideas to try before we know it's full potential. The site itself continues to grow in terms of traffic and email subscribers. I'll admit that it's slow going when you are starting from absolute zero (I've never revealed the URL or Kindle books publicly on my blog here). However, the site regularly gets 250 to 300 unique visitors a day and we have 600 email subscribers or so. I hope to see both those numbers increase more rapidly in time. Improves case study value. Showing that I can build an authority site from “scratch”, is a great study to show that others can do the same without leveraging any sort of influence. I want to prevent copy-cats or negative impact from readers with bad intentions. When I revealed my site from my first niche site project, there were lots of copy cats and the site was damaged from negative SEO. Our Kindle books already get copy cats and fake negative reviews. Even without publicly sharing our books or site on my blog, our top selling book has already been copied and a couple of reviews that were clearly fake…and very negative…were left. Unfortunately, business is cut-throat and people that see your successful books will copy them and do anything else to make them drop in Amazon. So, my reason number 2 above is already happening. Is the case study “value” less or greater when you can actually see the site and books? I know personally for me, it's great to see Steve Scott's books that I can use as a guideline. I know that for me and others, there's more value in actually seeing the live site or books so you can personally dissect what made them successful. I think I would be remiss if I didn't simply come out and state that my books and authority site are more likely to be successful if I tell more people about them. Yes, I'll make more money (possibly) and that's a good reason to consider revealing. I've build the site from “scratch” to over $1,000 a month, how far do I have to take it before I can just tell you what it is? Pat Flynn has always been very public about his projects, and that's worked pretty well. I can see value in both options. I would love to hear your thoughts in the comments below. Should I reveal the site? Will you get more or less value our of the “case study” if it's public? I actually have a site that I've never talked about on my blog. I started this site over 2 years ago, and it's a “passion” blog for me. I go in spurts where I update it more frequently and sometimes long spurts where I don't update it at all. The site get's between 600 to 1000 uniques a day, and does okay with Adsense. However, I'm currently in the process of having a Kindle book written for this market, and I see TONS of potential. I don't plan on revealing this site, but just wanted to mention it because it IS a site I work on and is a market that I enjoy. Vylo is a web-based chat software product that Perrin and I created a little while ago. You can read the couple of updates we've given in the past here. So, the site gets a fair amount of daily traffic. But what's even cooler is that the site ranks well for several “voice chat” related keywords in Google and gets a decent amount of organic traffic each day. We do have paying monthly subscribers, but not nearly enough to get excited about. I plan on tweaking a few things to see if we can get more people to become paying customers. I'm not sure if I've mentioned this in passing somewhere, but I've been working with a manufacturer in China to have a physical product created! In fact over the weekend, my product was shipped from China to Las Angeles, and is on its way to an Amazon warehouse as I type this. I expect my listing to be live on Amazon in the next few days! I have no idea what to expect with this, but after seeing what Chris Guthrie has done in a short period of time, I know there is a lot of potential. I've heard so many good things about this business, that I'm getting involved with a couple of other people as well. I have a partnership of sorts with my own brother to get a product up on Amazon. I have another partnership with my employee Jake to do a separate product. Jake's product is currently being manufactured in China. I've been wanting to wait until I actually see some success here before I discuss it too much. Long Tail Pro continues to be a phenomenal business. I don't like to share numbers, but I will just say that Long Tail Pro has the most employees. (Jake is full-time at marketing, I have 3 contract developers, and 2 customer support reps). The business is now hitting revenue numbers that I never dreamed would be possible. Long Tail Pro is a business I've been working on and growing for about 4 years now, and much of the growth is very organic at this point. People that don't know me are becoming affiliates, using the software, or just mentioning in blog posts. The software has been mentioned in Moz.com, SearchEngineJournal.com, SocialMediaExaminer.com, DuctTapeMarketing.com, and many other places without my involvement or even knowledge until after the fact. In addition, Jake has really done a fantastic job helping to promote the business over the past few months. He's been actively blogging on the Long Tail Pro blog. I encourage you to go check out some of his recent blog posts right here! We have also been working on our funnel, both pre and post purchase. As a result, the month of March should see a nice uptick of over 20% in sales without any special promotions or offers. I'm hoping the business has reached a new “normal” level of sales that we can just continue to build from. If you are interested in hearing more about this software business, let me know. I'll be honest, after 4 years of blogging, sometimes I struggle with “what should I write about next?” However, I always come back to the fact that it's just my blog and I can blog about whatever happens to be on my mind. Some of my content will be “epic” (hopefully), and some of it will just be a regular update. I keep at it, because I regularly receive feedback, emails, tweets, and more about how much people learn from some of the posts I shared. I appreciate the feedback! In addition, you may have noticed that I've been taking a little bit of a break from the Niche Pursuits Podcast. Surprisingly, some of you HAVE noticed and keep mentioning that I should record another episode. I may just do that…sometime. As you can see, I have a few other things going on in my business, and I've yet to see how the podcast impacts my business. I've tried to analyze that in-depth here in a recent post. 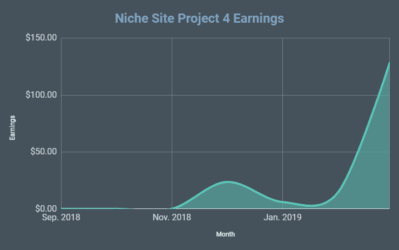 Unlike other activities, such as improving my funnel/offers for Long Tail Pro which show a direct and immediate impact to my business, the podcast is a very soft metric. I know the podcast can extend my reach and provides a deeper connection with my audience; however, it just doesn't impact my revenue in a timely manner as much as other activities. I will record more podcasts, I just don't know when. If you have topics that you would specifically like me to cover in the podcast, let me know. I'm all ears. Overall, I just wanted to give a brief update on the various online businesses that I've ventured into. Business is good. I would love to hear your feedback on which projects you would like to hear more about. I can blog a bit more or record more podcasts episodes wherever there is the most interest. In addition, I would really like to hear whether you think I should reveal my authority site or not. I gave you some of my thoughts on the pros and cons below, now I'd love to hear from you. What do you think? If you have any additional comments or questions, let me know! Hey Spencer – It’s good to hear about the state of the business. I would say to keep the Kindle Site private… I think there is plenty of value in the blog posts & podcasts. Plus, someone could refer to Steve’s books as an example. But you bring up a great point about Pat Flynn – he seems to be doing well! Thanks for your thoughts, Doug. I’ll be mulling it over based on comments here. Have to agree with Doug here. Love love love Pat Flynn but i think there’s always a question mark over the success of his individual projects away from SPI as to whether or not it would be the same if he wasn’t pointing to them from SPI. How large are both authority sites? I.e. at the moment, how many pages do the Kindle authority site and Private authority site have? The kindle authority site has over 100 posts; many of those are short Google news posts. The “private” site has around 75 or so. I’m starting a new authority site and watching someone do it would help me out, which is a completely selfish reason but it is what it is. Also looking forward to the new Neil Patel one. In your case, I think it will help you more than hinder you. The only negative thing would be someone sending you dodgy links. Nobody is going to be able to copy you and be as successful with a site so large, they’d be stupid to even try. On a separate note: do you reckon anyone who would want to cause you harm would already know what it was, or at least find out sooner rather than later? I know Pat Flynn’s FoodTruckr was found before he announced it. If so, you’re better letting the people who support you know about it to help it grow quicker. All good points Jamie! And yes, some people are able to find things if they search hard enough, like in the case of Pat Flynn’s food trucker site. Gives me something to think about for sure. Got a few things on your plate eh? I understand the decision to keep the site private, but I think you could compromise and maybe post an extra in-depth update once or twice a month. Looking at traffic sources, traffic strategies, and breaking down the subscribers from the Kindle books versus from standard web traffic…things like that. Yes, I think that’s a good idea. Thanks Dale! I think an authority site is hard to copy and negative SEO. I did reveal my authority site on my blog however it doesn’t impact me much. Spencer, I also jumped straight away in the Amazon selling product after i red your interview with Chris, Its almost 1.5 months, I got 8 sales and get payment transferred on the due date, faced some problem like understanding Amazon working, There online support is very helpful. I made only one mistake: I have chosen product which is having very tough competition but still i manage to get 8 sales. I used synonyms of my keywords because you don’t have to repeat keywords in Amazon, Just write once in title or bullet point or in internal keyword section, keyword in description are discounted Amazon don’t take those in account to rank product. 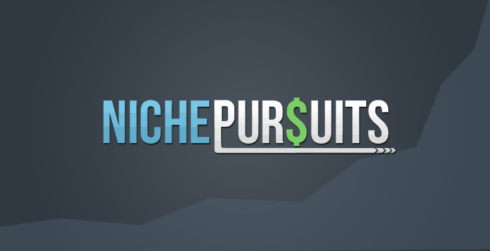 We’d like to hear more about that on NichePursuit.com and please share tips or your new finding on Amazon with us. Thanks Spencer your interview with Chris really helped me to start my own Business but still trying to get success which Chris got. Sounds great Sachin! My strategy for doing well in Amazon will be primarily on getting some initial sales and reviews. If I can “prime the pump” with some initial positive reviews through friends and family that buy the product, I’m hoping Amazon will pick up from there. What’s your opinion on Amazon VS Clickbank? I wonder WHY people use Amazon and get max 8% commission? Yes, they convert well, but at the same time you can use eJunkie or Clickbank to get 76% commissions? I think it depends on your niche. For some niches, amazon might be the best option, for others clickbank might have some good products. I think the best option is to just sell your own products. You see, Historically, Amazon itself operates on a razor thin margins and they have everything on the earth on their mega-store listed. Predominantly most of them are physical products and those products gets shipped to people’s homes when they order. Their razor thin margins would again fall if they offer more high commissions to their affiliates. It’s a balanced ration that they need to maintain. To start with, the trust factor with amazon.com leaves the clue here. For example, when someone buys an electric shaver (may be from an affiliate link), they already know that it’s an electric shaver and they are not in surprise, although they might have gone to amazon because of recommendation of an affiliate blog review. So even though the affiliate marketer might make 4-8 % from amazon , it’s fairly easier to convince and motivate people to buy something from amazon because they need the products anyways. Consider clickbank, where most of the products are digital downloads (I see lots of mediocre ones as well) and the the the push needed to convince people to buy from a totally new website (though you send them from your affiliate site) is far more higher. Again, though you could make 50 -75% on each sale, the product itself could be priced much higher and it’s difficult to substantiate why the product is priced so high. Whether it’s an amazon, eBay or click-bank, one who knows the art of affiliate marketing and applies smart strategies will have always success by his/her side ! My 2 scents here ! I hear ya but Clickbank doesn’t work as well for every niche because of the lack of products. For example I have a niche site that is KILLIN’ it on Amazon because that’s the only place that has an affiliate program for the products I promote. So it definitely depends on the niche. Well, I already know the website, and yes it makes a hell lot of a difference seeing it. And honestly, seeing the astonishing amount of work you two put in it (content, outreach strategy and the results etc. ), I wouldn’t worry about copycats anytime soon. On the contrary, I would go all the way and do a massive case study post (like Glenn from Viperchill or Brian Dean does it) showing the real meat: content strategy, segmentation, how exactly you marketed (what was planned and didn’t worked), how you got powerful links from Huffington Post, how you got the edu sites to list you in there and so on. I’m not sure how much “more value” you can bring with the usual posts, that are just indexing what you’ve been up lately. They are nice to have in my opinion. Now go all the way and make everyone glee in awe seeing the “behind the scene” work you guys did for the authority site. I’ve seen it, and I was deeply impressed. I’m sure the other readers will be too. Side note: I think the slow growth and underwhelming e-book sales, comes from the niche itself. There are some traits to it I think you guys failed to consider before jumping in. But I’ll comment on that only if you reveal the website. Thanks for sharing your thoughts Mike. Yes, I agree that the slow growth of the traffic to the site is indeed due to niche selection. However, we knew it would be a long term project from the beginning. The ebook sales on the other hand, I would not consider underwhelming. I think we’ve done much better than most new publishers. In fact, the potential for ebooks in this niche is really what keeps me excited. Outsourcing products like Chris Guthrie without any training? I purchased the course myself so that I could get started selling my own products on Amazon but I can honestly say that the things they’ve taught us can’t be guessed or just jumped into. That would be like someone trying to learn how to make money from websites for the very first time – thinking that simply “pulling the trigger” will be enough to get some sort of positive result. I really mean it when I say good luck. People learn in different methods. I learn through doing. I have a great product and it’s up and listed on amazon. I really don’t think I’m smarter than other people, I’ve just figured it out. Maybe it won’t sell well, but I certainly didn’t need a course to get me to this point. And if it fails, I’ll know a TON more for my second try. Oh how that one worked out! Could have bought 1000 and sold them.. This is where you see doing vs reading about it perform well! Great read Spencer. I just purchased Chris’s course for Amazon Private Label products, and am already doing research to see what I can sell. 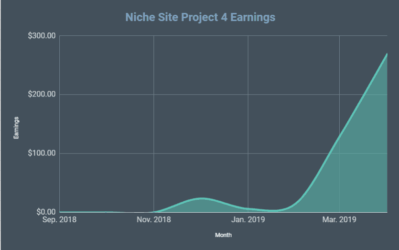 I’m glad I started learning from you with regards to niche sites first though, as I know the benefits of doing proper research, and how long that can take to find something profitable. I’d be interested to see how your progress is going, and wish you the best! I’m hoping that I can have my first products shipping to Amazon by the end of April. Sounds great Josh…best of luck! it;s quiet at the front,…. reveal the site and let us watch over your shoulders. It will allow you to discus more detailed aspects of the project and get feedback from the NP community. Thanks for your opinion Higgins. Awesome blog post, and more power to you and your ventures. I would absolutely love to know the URL of your authority site – but for selfish reasons. Objectively I don’t think you should reveal it yet, it’s too early. Eventually absolutely, it’s needed to put everything for everyone following. Maybe nearer the end of the year when the site has grown even further. Ok, maybe that’s what I’ll do, still deciding. Wow two authority site, surprised and happy. Reveal the site name, thanks. I personally wouldn’t reveal the authority site, although i would love to know. yes pat flynn is doing well but i do recall that his newest project (foodtruckr) was hit with some nasty links a while back. Well, I’m glad that your new authority site brings around 100 sessions per day from search engines, this thing shows that if you continue the good work these sessions will grow and the money made as well. Do not make public the url, not even when it will have higher audience, it is better to remain as it is, a secret. Waiting for the February income report for this website, and I need to know if you are further using Google news. Thanks Savin…I’ll likely do a combined income report next month for Feb and March. i would love to see your authority site.waiting for your reveal of authority site. Please, DO NOT REVEAL the site. You still can talk about how the site is built, the backlink profile and promotions you do without endangering the site. Maybe later, when the site is grown to a real authority, then reveal the niche, but not the domain. Yep, you make an excellent point Tom. I think delaying the reveal to the end of the year – when you are more established in this publishing niche would be the best compromise in educating us and protecting your interests. Another good idea, thanks Mike! Honestly, I get much more out of transparency, and I think it benefits you more than hurts you. I feel like you straddle an odd line between wanting to do the progress reports like Pat does, but yet you don’t want to actually reveal anything — sites, numbers, etc. It’s more of a “here’s how I’m doing” update than something people can really learn from, because they can’t go observe it, dissect it, hear the actual numbers, etc. I’d be fine, honestly, with either fully revealing, or abandoning the progress reports, but the middle ground seems a weird place to be. It doesn’t help either your audience or you as much as it could. Does that make sense? First of all I am a big fan and I love Your articles and podcasts. Keep them coming! I want to start building micro niche sites using the process similar to what Empire Flippers used to do. Do You think micro niche sites still make sense in 2015 and what are the important things to pay attention to make them rank in 2015? I will appreciate any guidance. No, I don’t think it makes sense to do that. I’ve written about this quite a bit in the past. All right. Now that You said that I went back to Your old posts and found the relevant ones. I didn’t dig deep enough into the archives it seems. I will refine my approach. Thanx! It’s a long list with products you’ve built through the years. Have you experienced times when you were feeling overwhelmed and what’s your golden rule when you handle a couple of projects at once. Hey Spencer, I would wait until the site is much stronger if you plan to reveal or maybe just reveal the niche. The case study aspect of the site will be compromised once revealed just like your knife site. Spencer – Michael makes a good point. After the attacks on your survival knife site, I would recommend that you wait until the site is clearly an authority and hopefully attacks won’t matter as much. Revealing the site address has pros and cons. In my opinion pros win. Hello Spencer.very happy for your family.have a happy spring break,spend your best time with your kids.like you wanted our opinion,here’s mine.Well even I want you go at the same pace you are going with your authority site.but sharing the information if it helps in fulfilling a million wishes (mines one among it).and everyone knows, if they compete also in your project …they are not gonna win. I think I didn’t mean to hurt anyone…but from my side it will be a miracle if you reveal the website. I loved your last podcast about building the Kindle authority site, and while personally, I would love for you to continue providing a deeper dive into the site including giving the domain name, I see your point about copy cats and negative SEO. Thank you for all the information you provide and the work you do. Thanks Kim for commenting! Glad you have enjoyed the podcast as well! Always look forward to your updates, and I am happy to hear things are going well for you. April marks a full year that I’ve been coming to the NichePursuits site for advice, and it’s been a world of help to us. Definitely appreciate all the information you’ve shared with us. That being said, instead of sharing the specific site name or area, I’d prefer to have a long detailed view of the stats and simply a high level overview of the vertical? Is this a tech site? Is it a sports site? Entertainment?.. For example, if we know it’s a B2B tech site, that you’re producing X number of posts per week on y words, distributed in these methods, we could get a sense. Also include the MOZ info like PA/DA, # of backlinks. As people who are actively learning from you, we can get what we need with simply the data. Taking this approach protects you from the copy cats or people just looking to rip off your site. There are a lot of long time readers who I’m sure you could trust with the information. The problem is that it only takes a few people looking to make a fast buck to ruin something that took you and Perrin a very long time to create. Those are some great ideas! I do agree that giving more stats and some specifics, without revealing anything is still very valuable. At some point…I just might…still undecided. Can’t say I have posted a comment on your blog before but I have been a follow for over a year now and read every post. I want to thank you for all of your hard work and willingness to help others learn as well. I finally took the leap and am in the process of creating my own website. As for your authority site, I can see it both ways. However, as Jamie Alexander mentioned above, I would really enjoy seeing this site for selfish reasons. Many of us, I’m sure, could take notes from your site and learn a lot. But with that said, it is definitely understandable if you choose not to reveal it. I’m also interested in hearing more about your Amazon ventures. That is something I thought about doing myself before deciding on working on a website. I’m sure many of us could learn a lot by seeing each and every step you take on the way, laying the foundation for greater success for all of us. Thanks for everything you have shared with us thus far, and I’m looking forward to learning more from you in the future. I think I may have a solution to your dilemma. Perhaps a compromise between the choices of revealing the site and keeping it secret. Yes… a solution that could offer you all the benefits you mentioned for both choices, and without risk of the negative implications. Keep the web site a secret from everyone…. except me. Yes, that’s right. Just think – you’ll have all those benefits from keeping the site secret – but without any of the down-side. I promise you that I will not try to launch a copy-cat site, or attempt any negative SEO… so there actually will be no down-side. And yet you will have all those benefits you mentioned from revealing the site, while enjoying the thought of just how much revealing the site to me has benefited me. Think of all the things I could learn from the knowledge gained from your example, your guidance, and the fruits of success from all of your hard work. Hi Spencer – I can understand your hesitation to share the site. You had to deal with copycats in the past. Lesson learned. However, you also mentioned PF, and his willingness to share his websites. The question I would ask myself if faced with the same situation is: Can I reasonably consider my website THE authority on the subject? Does it have that WOW factor? Meaning, is the website professional looking–without looking like another “review” site but offers that great content that we all keep hearing about and wants people to come back because…this is THE site for the particular topic. You mentioned PF. Take his Foodtruckr site for example. It would be pretty challenging for someone to go head to head with that type of site. And if you’re still not sure—I say go with what your gut tells you. Great to get a recap of what you have going on…definitely a lot on your plate! For the physical Amazon product business are you leveraging any of your websites to help drive sales. Something I have been toying with as a few of my amazon sites sell a lot of certain types of products that I think an alternative could easily be sourced. Regarding revealing your niche site I would say don’t do it until it is too big to get a little ann. Think survivallife large…once you are that big a s*** disturber driving some fiverr spam links at you will be just an annoying buzzing sound in your ear and not bring down your site. That is my take at least. I am not using any of my sites to drive traffic to my Amazon product…yet. However, I mentioned that Jake will be getting a product up soon, and we will be using a niche site to drive traffic to that one. Yep, I think your advice is solid about not revealing yet. Hi Spencer – Just thought of something here. What if, you share only the stats openly, but only share the name of the site (and other content if you choose) to a select group of folks. That way it’s in a controlled environment. Let’s say you do a drawing for 10-20 people. Wouldn’t you feel a bit better? I think all of us want to be able to see your site (me included) but this way, you get to share the site, help educate more people than had you not shared, and the folks really who have access really place value on your site (not that they wouldn’t have but you know what I mean). That is an interesting thought as well. I would love it if you decided to share the url of your site. This is purely selfish of course, but I learn more by seeing the “finished product” along with the posts about what you are doing, etc. Your blog and Long Tail Pro have helped me a lot in building my collectible teddy bear related website. I observe what you have done in your niches and apply them to my own niche. Whatever you decide, thank you for all that you do! Hey Spencer, congrats on the success of your various business projects. I’m glad to see you continuing to succeed, even after the hard hits you’ve taken over the years. As for your authority site, I would say to not reveal. Once you do that, the case study is effectively over. It’s tainted, and you can never be able to test accurately again after that. So it’s value for testing out ideas will be severely limited. But my main reason for saying not to reveal is that I know haters are going to come (again) and sink it. And that will affect you, your family, and possibly more people who are benefiting from it (like outsourcers and of course…readers). I don’t need to know the domain, and I want to see you continue to succeed with it. Thanks Chris, I think your advice is well spoken for sure. I’d like to know what the authority site is. I’ve come across a number of bloggers on the WarriorForum & elsewhere on the internet who claim to make $,$$$-$$,$$$ a month in income but when I’ve done a reverse search on their whois information (many of them aren’t using WHOIS privacy on their domains) to find their websites, none of their so-called hidden sites are ranking well enough at all to justify the income they claim to make each month. I’ve learned not to trust the income claims of many internet marketers over the years. I wish more people were honest and that’s why I think it’s better to be transparent as it makes others trust in what you say more. Sorry for rambling! Always enjoy your podcasts and blog posts. Thanks Steve, good points…and questions for future posts/podcast…thanks! Hey Spencer – I think you should reveal. I only say this because you have so many other successful business ventures. If this was your sole site you were launching to quit the 9-5 grind, then I’d say it wasn’t worth it. I realize money lost (risk of Negative SEO attack) is still money, but detailing your authority project step by step would give your readers something to look forward to as well as some new skills. Good post even though you start out by saying you don’t have much to share…I guess though what might seem not a lot to you provides a bunch of info & inspiration to others. Be good to know what you site it…but like others its only for selfish reasons!! I think it best to keep it secret so you don’t have repeat of the last time. Glad to hear you still get value from what I feel are less “valuable” posts. I started to sell on Amazon since Jan 2014, with no success. I chose the wrong product-Very high competition. Actually if you have lots of money, and you can spend a lot for ads, (Facebook/Adwords/Amazon Ads), you can choose the high competition products. What I learnt from the Amazon gurus, ( I spent $3500 for a course), we have to do a lot of promos before and after launching the product, like give 99% discount to customers, promote through facebook ads, just to get the initial sales going. give people free products to get some reviews. So, the first 300 units or more might have to be given away to people for free (sort of). Hmm there’s a lot learn actually. I am not giving up will try again when I have some money one day. What I want to tell you that selling on Amazon is a real brick & mortar business. You will face some bumps here and there before succeed. I have a friend from Vietnam who sells $100k a month. Oh yes he is selling from Vietnam. Yep, makes sense. And since you mentioned it. My product just went live shortly a day or two after writing this post. I’ve already sold a couple products…haven’t done anything yet to promote! But since I’ve been involved with Kindle books, I very much agree that to REALLY be successful, a ton of promotion is required. I would certainly like to learn what the sites are. It’s called “proof is in the pudding” :)and your right. 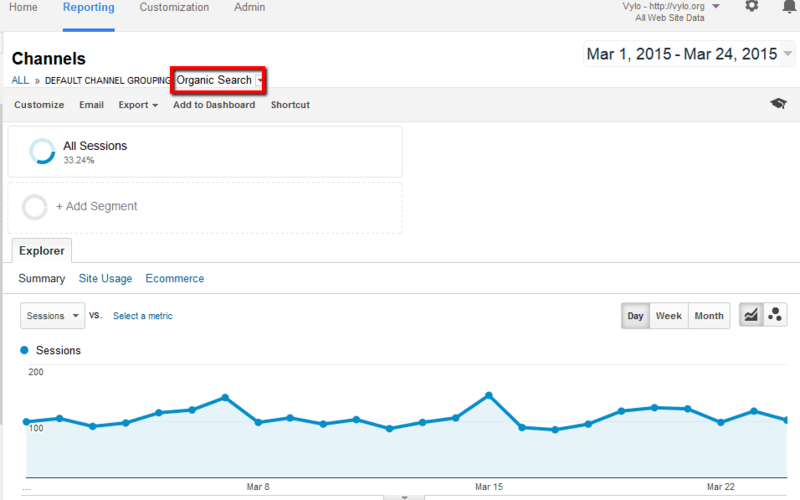 It could certainly bring you an increase in organic traffic. I’ll write my comments whilst fresh, and then go back and read others’ comments. “Should I reveal?” – I really want to say yes…because I want to know! But my answer is no…for now. Once you’ve revealed, you cant take it back. But nothing stops you revealing down the track. So, when to reveal, then? I’d simply like to see it taken to a level that an average solo-entrepreneur might consider leaving their job (perhaps either the average wage at least, or the magical 6 figures)…profit. Part of that though depends on how much you think revealing it would influence that. Just my opinion: the best of both worlds would be to (a) keep it under wraps at least until at a profit level that would be a significant part-time income (for someone still working)…whatever figure that may be ($12k net of taxes for someone working full time is not a significant part-time income, in my opinion)……and (b) keep really detailed records (videos?) that you might release later (or otherwise, just keep blogging about it). LT Pro – yes, more please. Why not? After all; it’s a real business, founded by a solo-entrepreneur (who was not even a programmer). Whether software related or not…it’s what so many aspire to (therefore, don’t think just in terms of running a tech business….all the business lessons from this project are valuable). I don’t think numbers are needed….it’s quite obvious you could support your family from this business alone. Some percentage (e..g growth over time) graphs would be cool tho. e.g. you can always share revenue indexed to a fictitious level. Wow, thanks! I’m always amazed at the quality of comments and suggestions. I really like your suggestion about waiting to reveal until the site hits some predetermined level of success. Maybe $10k/mth? And I’m yet again amazed that someone likes my podcast! I appreciate the kind words. And thanks for the “upvote” for more LTP content…noted! Thanks again. No probs. Re: podcast; I’m not sure how much it helps your business…but in terms of quality – I think you’re seriously underrating it. Tag team with Perrin (maybe you guys could work on tagging each other a bit better….) helps the conversation keep going. 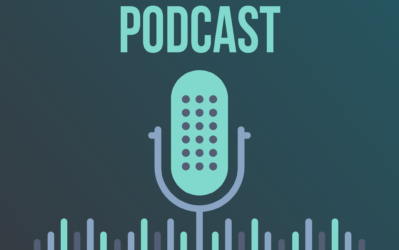 You have a differentiation (in my opinion) to other business podcasts, as I already mentioned: free (vs. fixed) format with a longer time allocated. Love to see you guys keep going with it. I agree about the podcast! Not only is it my favorite podcast in terms of content, but it’s also my favorite one to actually listen to, since it’s so relaxed and honest, and not so “screamy” like some other podcast. I usually listen at lunch or when I take a walk. Wow, “favorite” podcast? I am seriously honored and still surprised that some people actually enjoy the podcast so much! long time reader, first time poster. Personally I would love to see a visual of what you guys have been busy with. As a newbie to online business, it really helps me understand what works and what doesn’t and where I should spend my energy. However, I would hate to have a repeat of what happened with your knife site. Doing all that work only to have someone copy your idea is a shamble. Your case studies offer tremendous value and I can’t believe that someone that reads your blog and follows along with the study would have the audacity to do such a thing. Anyway, I better stop before this turns into a rant. For me it would still have to be a yes. I’m really interested in building an authority site later down the track. 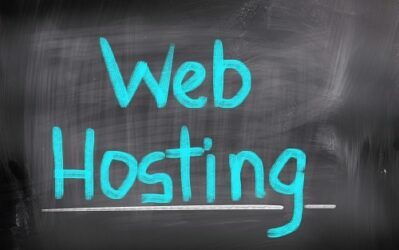 As per some of the other comments, a compromise would be to wait a little longer until your site has grown to the extent that reproducing it would be such an intensive exercise that it stops the copycats. Your call in the end and either way I’ll still be following along. Thanks Jamie for reading…and finally commenting! I agree that it would really hurt to have another site get hit, so I have a lot to consider. Can’t wait to hear some updates on your FBA stuff. I’ve considered doing it myself, and even went as far as getting a couple samples from China…But decided against it since I would have need about $4500 for the particular product I was looking at to make the numbers work. I’ve sold 2 units in about 24 hours now…which is awesome! Haven’t done anything to promote yet as I’m on vacation. The produce is a “mid-level” price product, so a couple units a day would be enough for me to know the business has potential…and put more effort into it. I’ll have to blog more about it once the business has some more time behind it. former regular lurker (but just joined recently) and first time post. From my own POV I would love it if you revealed all. My thoughts are how important is this site to you financially? If it took a hit as per your knife site how will it affect your bottom line? Is the intent to make the site a training vehicle or is it for the site to make money? I’m not sure it can be both. I tend to go with other posters who say give detailed analysis but don’t reveal the URL. Do we REALLY need to know the URL? As a sidebar people who are here FOUND you; to me that says you have a significant profile – i.e. you are known in this niche. That suggests to me that revealing the URL might not be such a good thing; a significant profile + juicy URL = bait for those with mal intent IMHO. I’d be interested to see what your decision is..
Great thoughts John, and the more I contemplate, the more I think I agree. I appreciate you chipping in! I say go for it and reveal it. There’s a big difference between a small niche site with a few pages that someone could copy in an afternoon and an authority site with deep content and a real audience. As for Long Tail Pro, I think it’d be hugely informational to learn more about this, particularly from the operational side and a deep backgrounder on how you were able to get it built and maintained. For example, it is still an AIR application, is that the best thing for it’s future, etc.? There are many bootstrapping entrepreneur types who are trying to build monthly recurring revenue models with SaaS apps. You’ve done just that, applying your subject matter expertise to have this built from scratch and as a non-developer. Thanks Dave. I agree that I have A LOT that I could share in regards to what I’ve learned building Long Tail Pro. Hey would VERY much like to see the site revealed. It will make your case study so much more valuable to me. Thanks for doing such great work! Nice update about your current online businesses, it’s great that you’re doing well. To be honest, I’d like to see your authority site, and especially your kindle books as I’m planning to write some for an authority site I’m building. But because of what happened in the past, I think it would be best you dont reveal your site and kindle books (I’d love to see them,just hate being selfish) in case history repeats itself. In one of your blog posts you once mentioned a site which sells ebooks at around $1+, and allows people to re-sell the books. Cant find that blog post, it’s an old one. What was the site again? Thanks Siya for the thoughts. I believe the site you are looking for is master-resale-rights.com. (They cost more than a dollar, but you do have resell rights). I sent an email through the contact form but never got a response – not sure if those get read so I thought I’d send you a note here too since I’ve thought more about this. Your blog is very informative and sharing just enough of what you are doing without revealing the actual site still gives you plenty of credibility and the material is very helpful. Unfortunately the world isn’t always the kindest place and it’s not worth revealing your authority site if your really serious about it. In fact it would hurt everyone here (aka the case study) if the site gets an unrealistic boost or drops because of the reveal. As I mentioned in the contact email, I found your authority site and kindle books just by using the information you have shared here and some of my own “web” talent. Anyone who is reading your blog and is serious about doing something similar should take this as a personal challenge to see if they can figure it out too. Anyway – great work man! Hi Spencer, really impressive update on your vylo sites, but i just wondering how did you give backlink to the site, since it doesn’t have much post, because i thought that static sites is more difficult to optimize. We haven’t done any link building to Vylo. Any links came “naturally”. Spencer, I would keep them private. If you were one of those marketers who had no credibility or were new to the game then maybe, but I think you’ve proven that you know what you’re doing and it’s better to keep it hush to ward off copycats. Yep, makes a lot of sense…thanks Lisa! Thanks so much for all that you share. I have been blown away by how much quality info is available to help those of us starting out on the journey to location independent income. I’m just getting started on private label and, after much looking around at courses, I went for Jim Cockrum’s proven Amazon course. They have just added Tom Freeman’s proven private label course, so it has a high level of detail. I believe it is great value, although the proof will be in the pudding, as the saying goes!. I am not affiliated with that site just thought you may appreciate an honest review. Sounds good. I guess for now I’m just learning from the school of hard knocks. Perhaps I’ll come back to the training courses if I can’t figure it out on my own. Spencer, I would say that you should still keep it private, at least for a while. Even though you may get a boost in sales, that boost may be bigger if reveal it at a later time. Plus, you still get the chance to test strategies at ease as you remain in anonymity. Revealing it later may increase its value. That’s a great point. The ability to test strategies and fail privately…until something “works” is probably a very good reason not to reveal. then by all means reveal your domain name! By the way I really appreciate nichpursuits. It has truly useful content, thoughtfully laid out enabling me to learn a lot. Thank you. I’ve noticed thats once I start ranking on some money-keywords, people would start copying the site content 100% and start building negative links to my site. How should I deal with situation? Should I create all the niche sites with different identity eh? Hi Spencer, Post very informative. By the way, I found the name of your blog quite suggestive. This information is relevant for projects that intend to start. I support the decision to keep the blast. Here in Brazil people do not value things public. The more private, more valuable. Here’s another vote for revealing the site. To be honest, I haven’t been reading your blog nearly as much as when I did during the APS case study. It’s just general advice with no template the follow/track. The content is just not nearly as engaging, and that’s 100% a product of us not being able to follow along. I’ve been following (learning) from you for the past year in the half. I truly enjoy learning and watching. I hope to have developed online businesses to degree you have soon. How long has it been again? Also, just curious, how much money do you think you spent developing you online business before you made a full-time income? I think you said it was 2 years before you made it to that point right? I built my first site in about 2006, but it was mid 2009 that I got “serious”. In early 2011 I quit my job. I was putting in around 3 hours a day before I quit my job and outsourcing alot. I don’t remember how much I was spending on developing/outsourcing, but it was probably less than $1,000 per month. Glad I’m not the only one with ADD 🙂 ! I am also working full time from home on various Internet businesses including Amazon physical products. 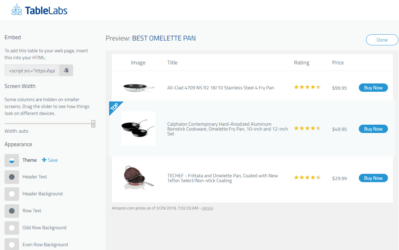 And that’s my question / suggestion for you – can we use Longtail Pro for Amazon SEO? There is a service I won’t name because I don’t want to be plugging it here, that offers keyword research with monthly search volume – on Amazon. Google volume may be similar to Amazon, but it’s certainly not identical. It would be great to have something like this in Longtail Pro, rather than having to pay for another keyword tool. Email me and I can give more info if needed. Thanks Rowland. Long Tail Pro does not include amazon search volume; however, you are correct that if the volume is greater on Google, it’s likely to be greater on amazon as well.